At Mt. 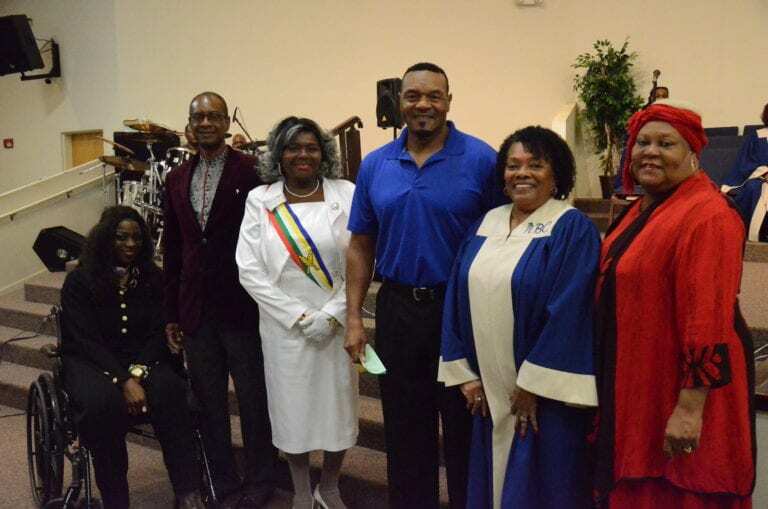 Olive Baptist Church’s Feb. 3 service, the Ball Street church kicked off Black History Month differently than usual: by honoring those from Plant City’s black community that have opened new doors. The 2019 Homeless Point in Time (PIT) count provides the most accurate representation of the homeless population in Hillsborough County. Once the final count is tallied the area’s homeless advocates can address the pressing needs for the represented community. The PIT survey for Plant City will be held from 7 a.m. to 8 p.m. on Feb. 28 and volunteers are needed to help support the Plant City community with the initiative. Anyone wanting to volunteer in the survey must attend a training date. Plant City’s training dates are at 6:30 p.m. Feb. 11 and Feb. 19 at On Point Co. Work Solutions, 1805 James L. Redman Parkway. Registration is open at Thhi.org/volunteer. You can also call Jennifer Anderson at 813-323-4013 for information. The new Suncoast Community Health Center Plant City Family Care facility, 801 E. Baker St., is getting ready to party as it opens its doors. A grand opening celebration is planned for Feb. 14 and the community is welcome to join in. There will be a food truck on location from 11 a.m. to 1 p.m. and more fun for everyone through 3 p.m.
Services offered at the new facility include adult and pediatric medicine and dental work, women’s health, optometry, behavioral health and a pharmacy. Every year, the GFWC Plant City Junior Woman’s Club organizes the Shoe Project with local elementary schools to provide brand new shoes and socks to children in need. The 2018 Shoe Project was its most successful to date, reaching 16 local elementary schools with more than 600 pairs of shoes donated to students. The latest Shoe Project was headed by Mackensi Beers and sponsored by James Hardie Building Products, Gordon Food Services, Unity in the Community Inc., Happy Souls Sock Ministry, Star Distribution Systems Inc. and Payless Shoes. For more information on the Shoe Project and how to get involved with the 2019 shoe drive, visit gfwcplantcityjuniors.com.